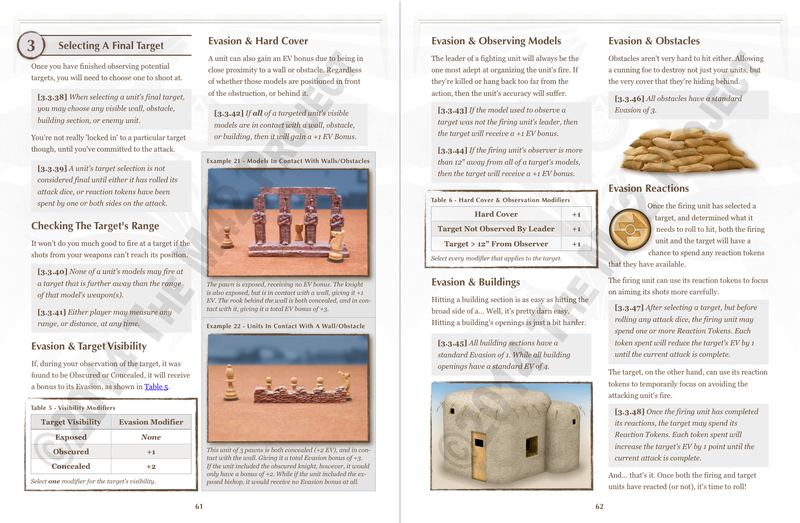 I also did a bit of rework on the graphic design, so that the different major rules sections are now more clearly delineated. The walls of text are also now broken up subtly into more easily comprehensible (and skim-able) blocks. 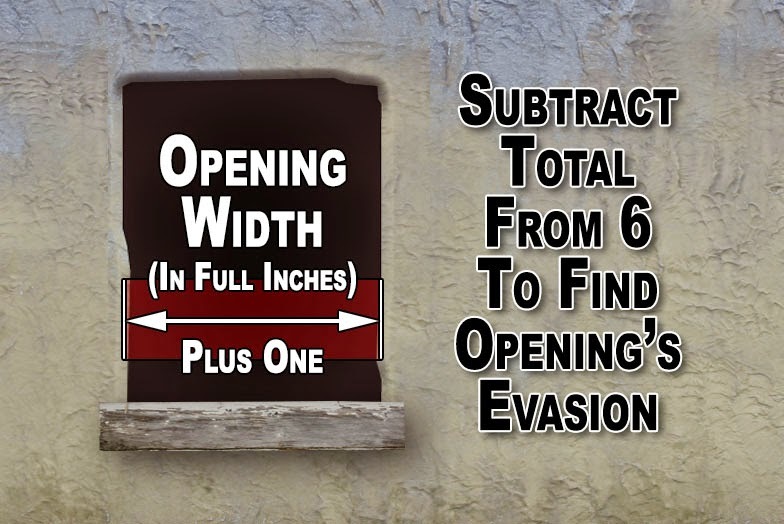 In the process of all this, there were some overly-detailed rules about using an opening's width to determine its Evasion (width in whole inches +1, subtracted from 6) when something tries to shoot into it. But in the end I just went with a standard EV number for all openings. Since even my eyes glazed over staring at a long paragraph followed by the above diagram. Oh, and as for stupid life stuff... Mrs. SandWyrm (already recovering from surgery) managed to dislocate her tailbone. The minivan blew a tire over the weekend, and then blew a heater coil mid-week. It's now in the shop, and our replacement rental got a nasty scratch on the door just a couple of hours after we took possession. Seriously, my life never used to be this crazy!